(2017/Be-Bop) 27 Tracks - Digipack - Brunswick and Telefunken recordings, 1955-1964! 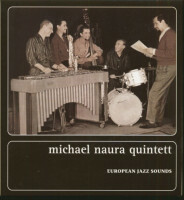 From 1953 to 1964 the Michael Naura Quintett was one of the most successful German jazzbands of the time. The music of this eclectic quintet was strongly influenced by George Shearing, Dave Brubeck and Horace Silver’s hard bop, but also by the chamber music style of the Modern Jazz Quartet. From 1953, vibraphonist Wolfgang Schlüter was the most important improviser in Naura’s quintet! This album’s music will not only blow you away – it comes in perfectly remastered top quality and is a 'real must' for every serious jazz collector. It truly deserves any superlative available! Michael Naura grew up in Berlin. He studied journalism, philosophy and sociology there and subsequently played piano in swingbands. 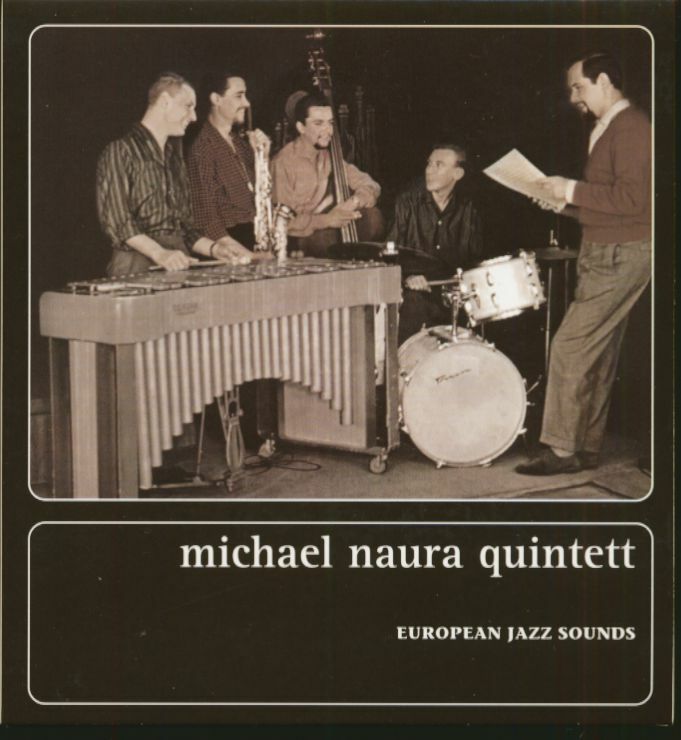 From 1953 to 1964 he led the Michael Naura Quintett, one of the most successful German jazzbands of the time. The music of this eclectic quintet was originally strongly influenced by George Shearing, while later they leaned on Dave Brubeck and on Horace Silver's hard bop, but also on the chamber music style of the Modern Jazz Quartet. From 1953, vibraphonist Wolfgang Schluter was the most important impro-viser in Naura's quintet. Naura's musicians also included alto saxophon-ists Klaus Marmulla and Peter Reinke, bassists Hajo Lange and Wolfgang Luschert, and drummers Heinz von Moisy and Joe Nay. In August 1956 Michael Naura and his quintet took on a firm engage-ment at the Barett jazz cellar in Hamburg. They performed there for seven years - six nights a week! In 1964 Naura had to interrupt his mu-sical career owing to a severe illness. He attributed this to the daily work at the smoke-filled jazz cellars. A number of well-known German jazz musicians gave charity concerts to collect the money required for his treatment. After his recovery Naura gave up his musical career and worked as a journalist. In 1966 he met the Hamburg author and poet Peter RUhmkorf, and together they founded the "jazz and poetry" project, which was documented in many productions and performances. Naura and Rtihmkorf were also bound by close friendship. Later on, Naura's friends included German author GUnter Grass. In 1971 Naura became recording manager, later program editor and fi-nally director of the jazz department of German radio station NDR. Under his direction, the radio station developed "the most extensive and interesting jazz program in Europe." "His expressive voice added a high memorability to his words on the radio - many-faceted and intu-itive, sometimes softly touching, sometimes provocative," comments the NDR jazz department. "For decades he was one of NDR's most prominent voices. His warm and deep timbre still keeps ringing in our ears to this day." Naura retired in 1999. He also was a well-known jazz author. Besides his articles in compila-tions, magazines and newspapers he wrote liner notes for records and CDs. He had an extensive knowledge, his language was marked by strong - partly coarse - metaphors, and he also did not shy away from occasional attacks. In 2009 he received the lifetime achievement award for his work in jazz radio. During his retirement he devoted himself to painting. He died in 2017 at the age of 82 in Husum, Northern Ger-many. Évaluations de clients pour "European Jazz Sounds (2-CD)"